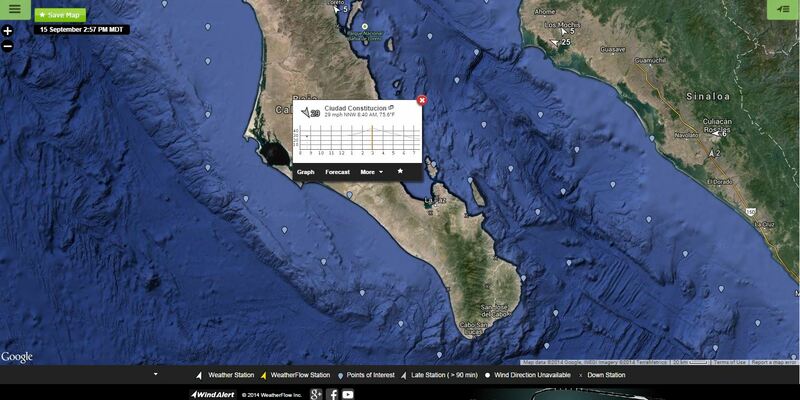 Home › Baja California › Baja and the SW United States – making history. 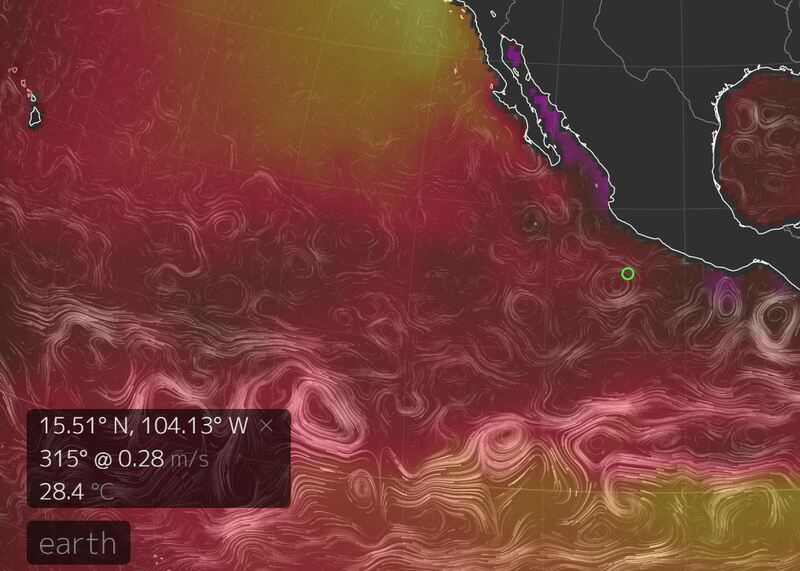 Baja and the SW United States – making history. 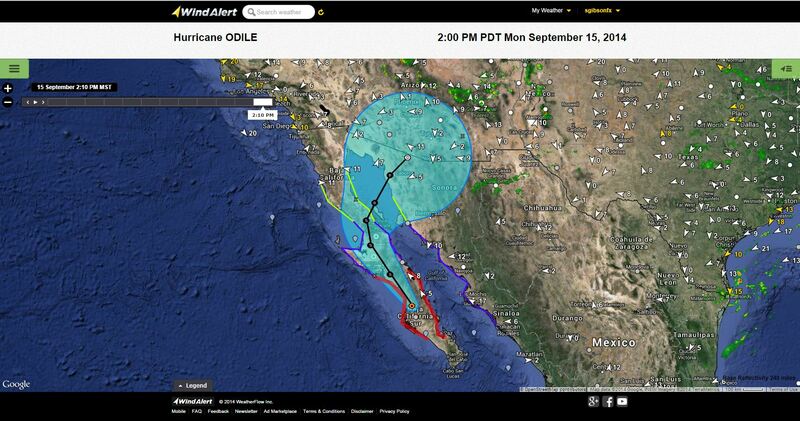 Hurricane Odile made land fall just over Cabo San Lucas as a Category 3 Hurricane at 9:45PM PDT, making it the strongest one to ever hit the Baja peninsula with winds packing 125mph and rains expected 6-12 inches or more. 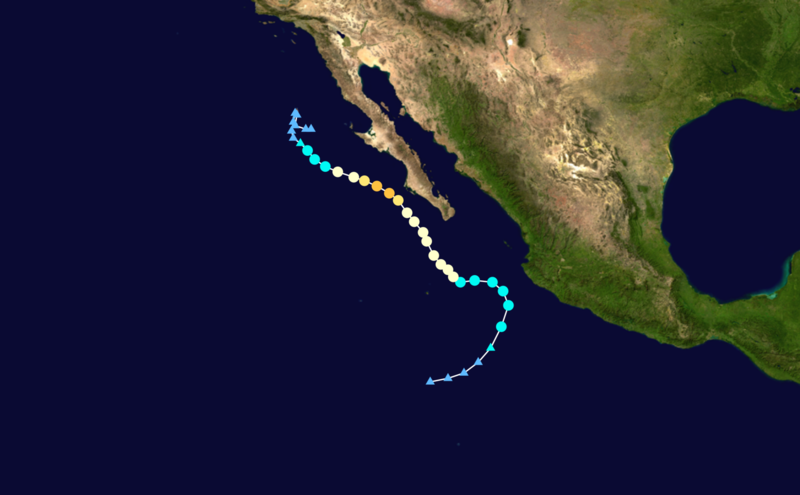 This is very recently after Category 3 Hurricane Norbert took a good swipe at Baja on its way up the coast, eventually turning into the SW states and dumping significant rainfalls over Arizona to cause flooding. 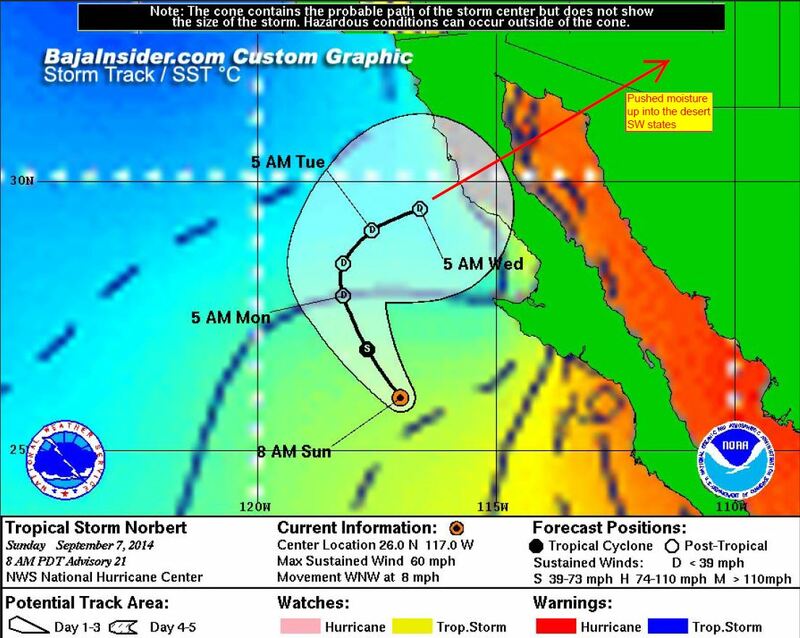 Here is Norbert’s track and post-track. 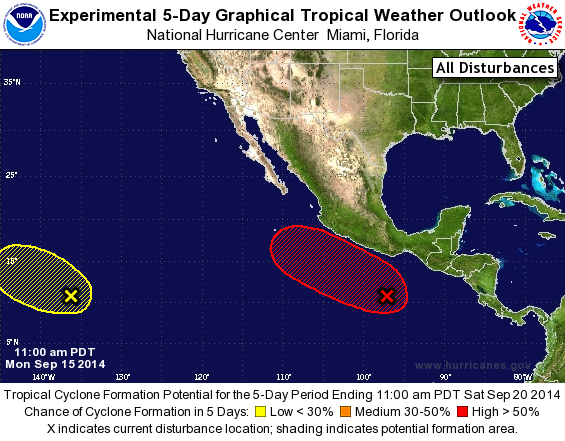 Here is what is going on now – Odile is a Cat 2 storm gradually weakening. And as if that wasn’t bad enough – guess what? There’s another area organizing and projected along the same general path. 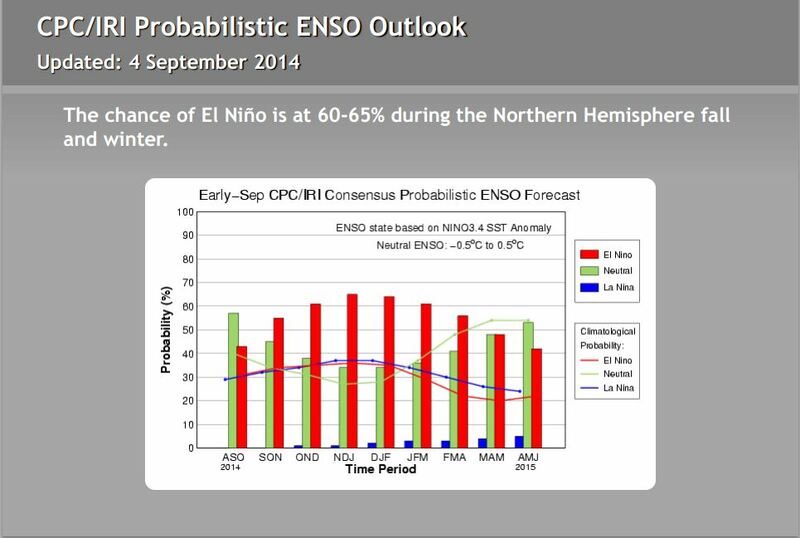 Here is the latest NCEP ENSO report with models steadily increasing for the El Niño as SST’s continue to stay above average. 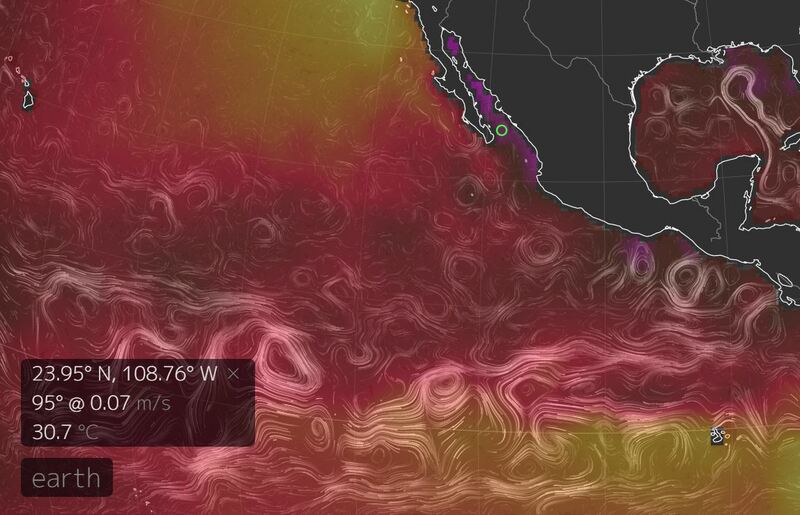 Currently, the SST’s range between ~80° – 84° in the open waters, with the Gulf of California showing warmer waters around ~85° – 87° likely helping to keep strength to Odile along the eastern edges. So basically what we have here is a southerly steering current with abundant warm waters which are a recipe for these systems to rapidly intensify. 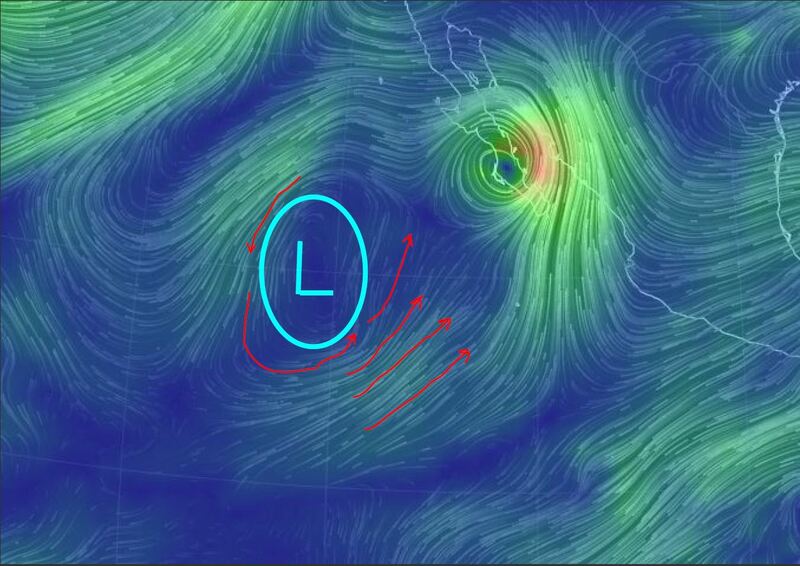 This 500mb mid/upper level Low may steer the next system along the same path as the pattern continues. We would post the latest wind readings, but it looks like all of the stations down near that area are knocked out. Last reading I was able to get was at 8:40am PST from Ciudad Constitucion with 29mph. We hope the best for everyone down there as they go through this very dangerous storm. 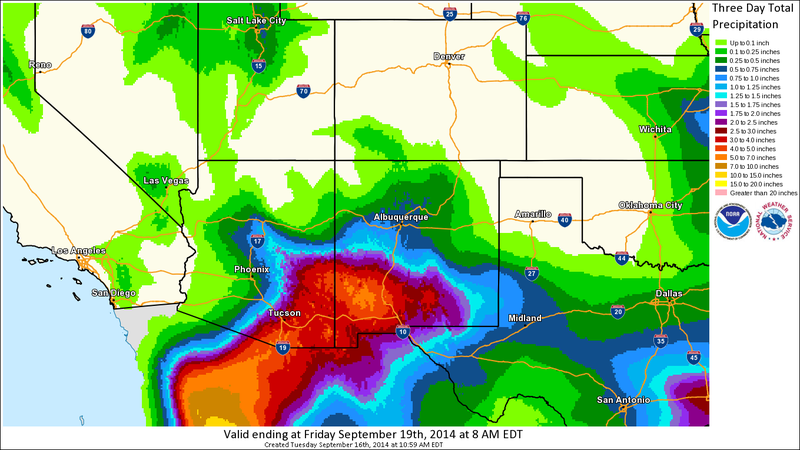 UPDATE 9/16/14: Here is the projected rainfall from NOAA’s Weather Prediction Center showing the 3 Day Total Precipitation Forecast valid through 8 a.m. EDT Friday, over the southwestern U.S.
“It’s a risk for a prolonged heavy rainfall and flash flood event, possibly severe in nature, to the Desert Southwest and western Texas as the moisture from Odile spreads northward. The heaviest rainfall will likely be concentrated across southeast Arizona, southern New Mexico and far western Texas, where 3 to 6 inches of rainfall will be common through Thursday night and upwards of 9 inches possible in isolated locales. Flash Flood Watches are in effect for large portions of Arizona and New Mexico, as well as for parts of western Texas, southern California and southern Nevada. The most susceptible areas for flash flooding and debris flows are over wildfire burn scars across the Desert Southwest. Precipitation over the mountainous terrain will complicate the flash flood potential, even several miles away from the source of the heaviest rainfall.